Tiffany’s. That was the vision I had in mind. 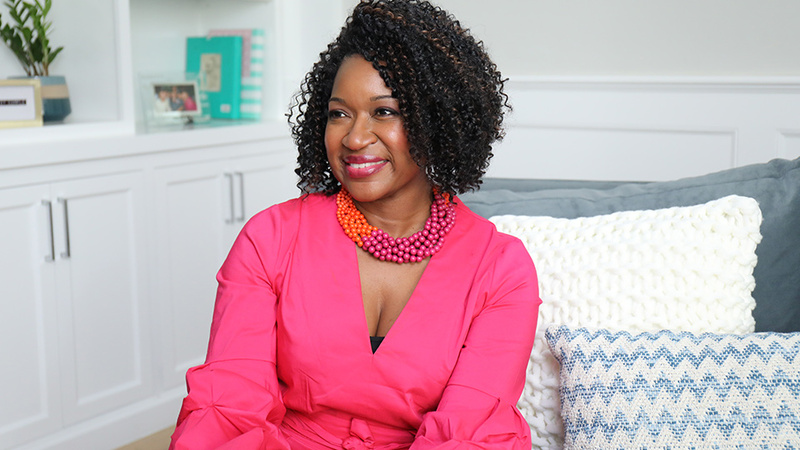 I wanted something vibrant and girly—I wanted the Tiffany Blue. Though Cynthia was inspired by the iconic brand’s luxe look, she had a number of practical needs, too. Much of her wardrobe had been stowed out of sight—and sometimes out of mind. 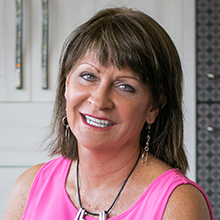 Cynthia and California Closets Indianapolis design consultant Susan Martin-Gibbons met at a house show. Susan had taken notice of Cynthia’s hat, and months later, she was helping Cynthia bring her in-home boutique to life. Together, the pair incorporated the Tiffany touch with a chic chandelier, black-and-white carpeting, and blue walls. 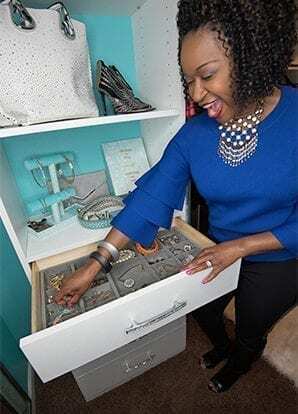 A large armoire makes the search for perfect accessories easy, while ample shelving lifts Cynthia’s shoes out of bins and into the spotlight. Susan measured everything, [including] how much space I would need for my evening gowns. She counted my shirts, my pants. She even paid attention to how [my closet] would work for me in the future, so I wouldn’t grow out of it. I immediately thought this is the best thing I've ever done for myself. I walk into the closet, and I’m in a different frame of mind. For Cynthia, clothes aren’t just clothes, but means through which to express her best self. Now, her closet is, too. 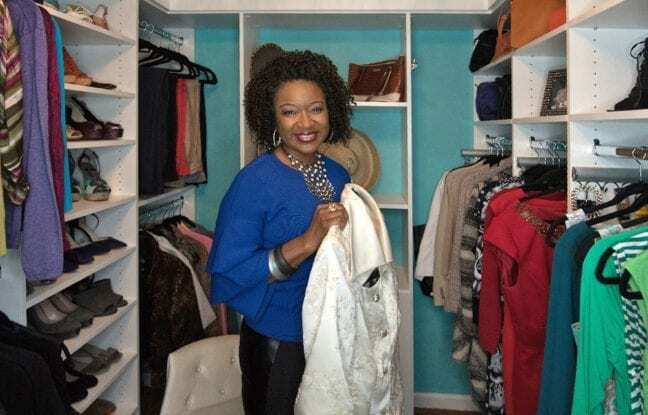 Now that every item in Cynthia’s closet has a home, including those she’s inherited from her mother, her morning ritual is less chaotic. The ripple effect, however, amounts to so much more. Self-care is essential. 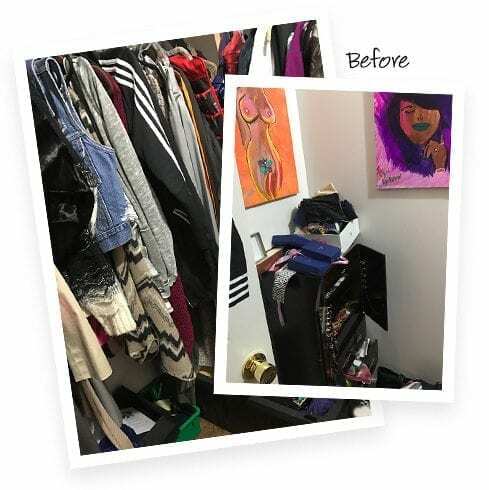 You don’t always think of self-care as a tangible thing, but this closet was so gratifying. [I feel that] when I pause to take care of myself, I can give more to others from my overflow.